Ryan Cattoni does not appear to be a typical member of the funeral industry. He is just near thirty-years-old and working in death-care does not run in the family. He attended Worsham College of Mortuary Science after being inspired by a funeral director tending to the arrangements of his grandfather’s funeral. He admired him for easing the stress of a naturally stressful situation and felt working in funeral service was his calling. In his studies, he learned about a method of disposition used by the Mayo Clinic since 2006 and following his graduation he worked with the state of Illinois to legalize it. By 2013, AquaGreen Dispositions was founded. The LLC does exactly as its name suggests: it is an eco-friendly cremation service that utilizes water. 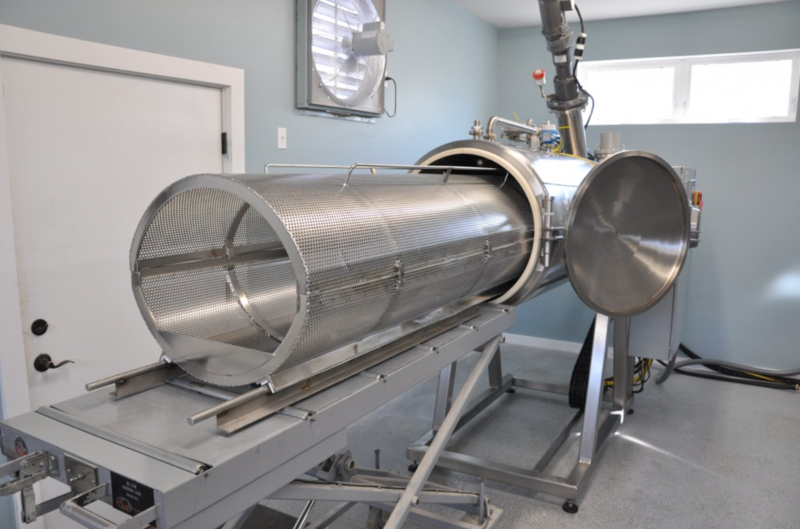 The process is officially named Alkaline Hydrolysis but many refer to it as flameless cremation. The process begins by placing the body in a machine along with a solution of 95% water and 5% alkalis. The gentle movement of the water and variation of heat dissolves the tissue and makes the bones brittle enough to turn into cremains. The powder comes out lighter in color because it has not been burned. Before flameless cremation, families were limited to just two choices: traditional cremation or burial. Now there is a more eco-friendly option. It uses fewer natural resources than conventional methods and does not burn fossil fuels or release other harmful chemicals, including those used during the embalming process or chemotherapy, into the air. It is a greener, gentler option using naturally occurring elements. Originally, Cottoni thought the process, which is a tenth of the traditional cremation carbon footprint, would appeal to those who are environmentally friendly, but what he found was people were more attracted to the gentler methodology as opposed to the ‘violence’ of being burned. AquaGreen serves people from many states other than Illinois. A family can utilize their facilities by going to them directly or if they want a full funeral service, they can go through partnering funeral homes. After the process, there are still the same options as before: burial, scattering, or keeping the ashes in an urn. There are only four other facilities in the states which provide a similar process and it is only legal in 10. The death care industry is heavily regulated because they are caring for people’s loved ones and commend themselves for operating at the highest of standards. Since AquaGreen’s founding in 2013, its service has tripled. It will only be a matter of time where the greener option of flameless cremation is the norm. For the first time in 2015 cremation rates surpassed burial and it continues to rise. With nations focusing on pollution control, more environmental regulations will be placed upon the funeral providers. Filters on burning cremation are expensive and moving to a flameless option seems like a logical next step. Currently, Cottoni provides the nation’s most environmentally responsible choice. This entry was posted in The Good Funeral on August 15th, 2018 by ObitTree .